It’s hard not to believe that there are some big iOS inspired changes on the horizon. 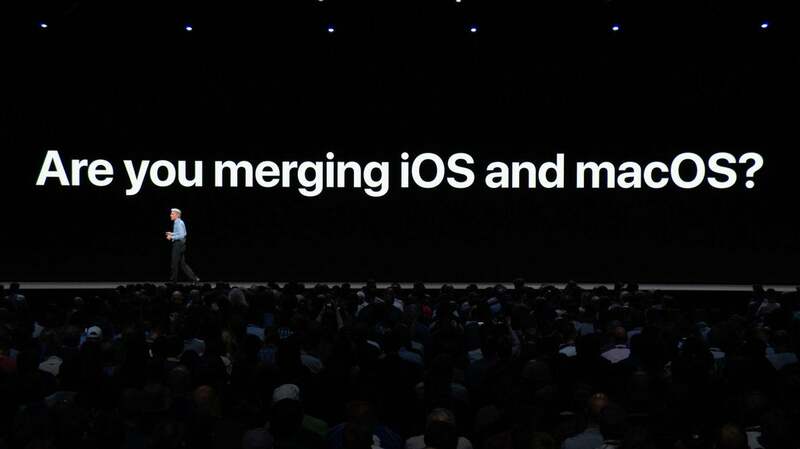 Much has been written—a lot of it by me, admittedly—about how Apple’s commitment to let iOS developers bring their apps to macOS in 2019 has the potential to dramatically change the Mac. But adding iOS apps to the Mac might not be where Apple stops. What if the company uses macOS 10.15 (or, dare I suggest, macOS 13?) to further unify the interfaces of its platforms? For all the discussion about whether iOS apps running on a Mac can possibly live up to the platform’s interface standards, it’s entirely possible that this year, Apple will choose to redefine what it is to be Mac-like in a way that turns iOS and macOS into a continuum of interface decisions that are all, for lack of a better phrase, “Apple-like.” Longtime Mac users might chafe, but iOS users might welcome it. As someone who is both, I am not sure where I fall, but it’s worth considering just what Apple might do to make the Mac more closely resemble iOS. Full-screen and Split View modes are already in macOS, just like the iPad. (It also has this fancy “windowing” mode that iOS lacks, but I doubt Apple is eager to introduce arbitrary windows to iOS.) The one iPad multitasking feature macOS lacks is Slide Over, which allows you to place an app on the side of the screen and slide it in briefly when you want, then dismiss it quickly. I’ve definitely run into times on my Mac when I’ve wished I could quickly view something in an app and then dismiss it. What’s more, macOS already includes Slide Over, more or less—it’s just limited to Notification Center, which lives to the right side of the screen and can be made to appear by a swipe from the right edge of the trackpad. More broadly, it’s worth considering where Mission Control gestures make sense on the iPad. This is an area where I’d love iOS to resemble the Mac more than the other way around; I navigate around my Mac endlessly with multi-finger trackpad gestures; I’d love it if I could do the same on my iPad, dragging apps into different spaces. It’s possible, though, that Apple might consider an entirely new approach to multitasking (for Apple, anyway) by using browser tabs to let users configure their workspace. Not only did Apple let any app tab all the things when it released Sierra in 2016, but Microsoft has recently been experimenting with the idea of letting users group windows from different apps in a single tab set. Microsoft’s example is that you might want Word, Excel, and browser tabs all open in the same workspace, so you could easily switch between them. As someone who is not particularly enamored with the multi-tab lifestyle, I’m not entirely convinced that tabbed workspaces would thrill me. But it’s hard not to argue with the fact that for most users, adding more tabs has become second nature. And if Apple were to add tabbed multitasking to iOS, I wouldn’t be surprised at all if it brought the same convention to the Mac—just to keep everything in sync. Could iOS’s Control Center come to macOS? On iPad and iPhone, Apple has now unified the locations of Notification Center and Control Center. To view Notification Center, you swipe down from the top of the screen. To view Control Center, you swipe down from the top left. It’s not unreasonable to imagine that Apple might want to unify that location on the Mac, too. You’d swipe from the very top of your trackpad downward with one finger (or click a menu bar item) in order to reveal notification center. A swipe from the top right corner downward would open Control Center. Oh, the Mac doesn’t have Control Center now? Consider it an extension of menu bar icons, a place for Apple to hide a lot of controls that it now displays at the top level of the Mac interface. I’m not quite sure what a Mac version of Control Center would look like. Perhaps it would literally just be an extension of the menu bar itself, with more options and more details and quick access to the Settings (er, System Preferences) app. Apple has been pushing the iPad and Mac docks together for a while now. In Mojave and iOS 12, both added the concept of recent or suggested apps at the end of the dock. On the iPad you can drag apps out of the Dock in order to kick off multitasking, which might be an interesting trick on the Mac. The Dock is hidden automatically on the iPad when using apps, and can be viewed either via a key shortcut (it’s Command-Option-D, the same shortcut as on the Mac) or by flicking up with one finger from the bottom of the screen. Seems like a gesture that might work on the trackpad, too. 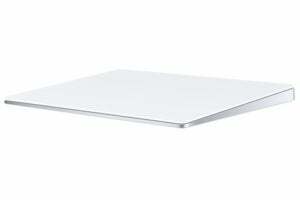 I keep mentioning the trackpad, but most Macs sold come with one—and many of the Mac desktops Apple sells also end up using a Magic Trackpad. It’s the logical multi-touch surface for Apple to optimize for on the Mac, while offering fallbacks for users of other pointing devices, as macOS does with Notification Center today. Adding more iOS-style gestures to the macOS trackpad and syncing the two more closely together seems like a smart move. They’re not quite the same, but they’re similar. Then there’s the big one: What if macOS devices eventually incorporate touchscreens? Apple has pooh-poohed this common PC feature for a long time, but the advent of touch-first iOS apps being brought to the Mac makes you wonder if Apple’s opinion might have shifted. I don’t believe Apple’s ever going to make a Mac that requires that you use touch, but touch can be nice as an add-on feature, to scroll browser windows or tap on big interface elements. If Apple were moving in the direction of touchscreen Macs, they could also support all the edge gestures that the iPad does. Introducing Control Center to supplement or replace those tiny Mac menu bar items would provide an interface much more navigable by touch, too. Do I think that Apple will really remake the macOS interface to largely resemble iOS in all the ways I’ve described here? Probably not, at least not in 2019. But change is in the air, and it seems pretty clear to me that macOS is in the process of turning into something that’s got a lot more in common with iOS than it does today. Every time you use an iOS device and your Mac and notice that the two platforms approach the same situation from different directions, consider that there’s probably someone at Apple who has been pondering how to unify that behavior for some time now. For what it’s worth, I’m holding out hope that the iPad will be picking up features of the Mac as well, but given that iOS has had most of Apple’s attention for the last decade—and that most of the milestone feature updates to the Mac during that time have been to add features that exist on iOS or to provide compatibility or interoperability with iOS—it feels like the Mac has more ground to give when it comes to creating a unified Apple platform that spans everything from small iPhones to giant displays. I should also point out that I don’t think it’s Apple’s goal to make the Mac and iOS identical. It’s not. The Mac is almost certainly going to keep a lot of its essential character, if only because it’s the only part of Apple’s device line-up that features laptops and desktops and external pointing devices. But as someone who has used the Mac for almost three decades, it’s hard not to believe that there are some big iOS inspired changes on the horizon.